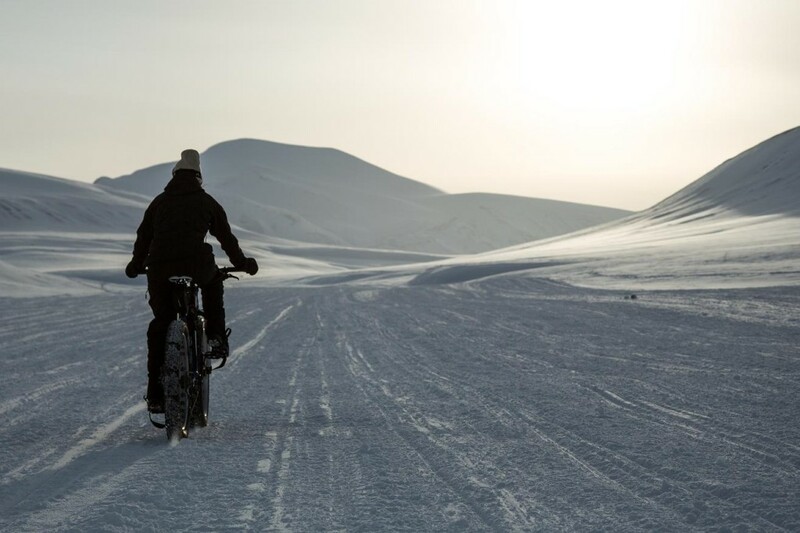 Kate Leeming pedals her “all-wheel-drive” fat bike during a recent training trip in northern Norway. In the past few weeks, at least two individuals and one team of two have announced intentions to ride a bicycle from the Hercules Inlet to the South Pole during the 2013-14 season. Daniel Burton and Todd Tueller of Utah launched an Epic South expedition, Kate Leeming of Australia revealed her plans to use an all-wheel-drive fat bike, and Spain’s Juan Menendez Granados announced his unsupported expedition to bicycle 1,130 kilometers while towing a 90-kilogram sled behind his bicycle. If all of these plans come to fruition, there will be veritable race to see who can reach the South Pole first. As of yet, no one has successfully ridden a bicycle from the coast to the South Pole. When it comes to bicycles in Antarctica, I’m both an enthusiast and a cynic. Of those who have attempted an Antarctic bike expedition so far, no one has even come close to reaching the South Pole solely on a bicycle. Back in 2003, Doug Stroup attempted an Antarctic expedition with a Hanebrink bicycle, but halted his expedition after being shut down for too many days by bad weather and unworkable wind. British television personality Helen Skelton leaned heavily on kite-skiing to traverse her planned 500 miles in 2011. 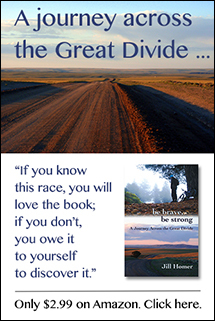 She rode a total of seven days and covered 103 miles total on a bike, even though her television production company heavily touted the bicycle as the focus of her expedition. Experienced polar explorer Eric Larsen made an attempt last December with a Surly Moonlander. He covered 175 miles over his 9 days out there. It’s the current world record for the most distance traveled toward the South Pole with a bicycle — and it’s no where near the 750 miles needed to reach the South Pole. So far, no one has been completely candid about why their bicycle expeditions failed. Skelton claimed her bicycle worked “beautifully” while covering less than 15 miles over a full day of travel. Larsen believed he would move faster and cover nearly double the mileage per day, and he didn’t have enough supplies or time banked to complete the expedition safely. In both cases, winds were cited as a major obstacle — katabatic winds rush down from the pole toward the coast, ensuring near-constant headwinds that can blow up to 100 miles per hour. Strong winds slow any progress, but bicycles are especially susceptible to wind. Even when fat tires can achieve float on top of the hard snow crust, the combination of sand-like friction, uneven snow drifts, and heavy winds can create a wall of resistance that even the strongest cyclists will find difficulty breaking through. So I continue to wonder — is 2 miles per hour the best a bicycle can do in Antarctica? And if so, why take a bicycle to the South Pole at all? The roster of Antarctic cyclists so far have included both experienced cyclists and experienced polar explorers, but as of yet no one with extensive snow biking experience has either raised the funds or signed on to attempt such an endeavor. I have embarked on loaded snow bike tours where I struggled to achieve a 4 mile per hour average on top of sandy, drifted snow in what would be considered light winds by Antarctic standards. I’m inclined to believe that the equation to turn a bicycle into an efficient Antarctic vehicle has yet to be solved — and that a successful expedition will be more a matter of luck with weather and equipment than the fact that anyone has found the perfect forumla. It will be interesting to watch this year as the race unfolds. I recently interviewed Burton about his expedition and will post that soon.